DAVID LE/Staff photo. 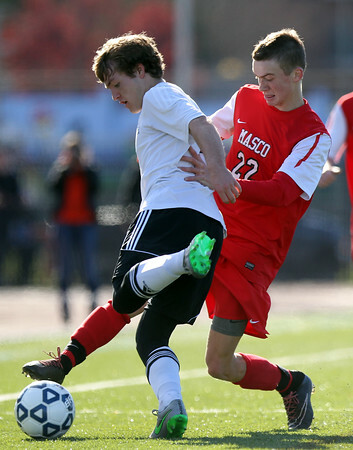 Masco junior Bryan Gilbert (22) tries to poke the ball away from Oliver Ames senior captain Max Bamford, left. 11/21/15.